Contract manager gives you a digital place to store your agreements you have with your customers. It could be as simple as defining a start/end date for an antivirus subscription or as complex as a managed service contract with defined product discounts and service level agreements. 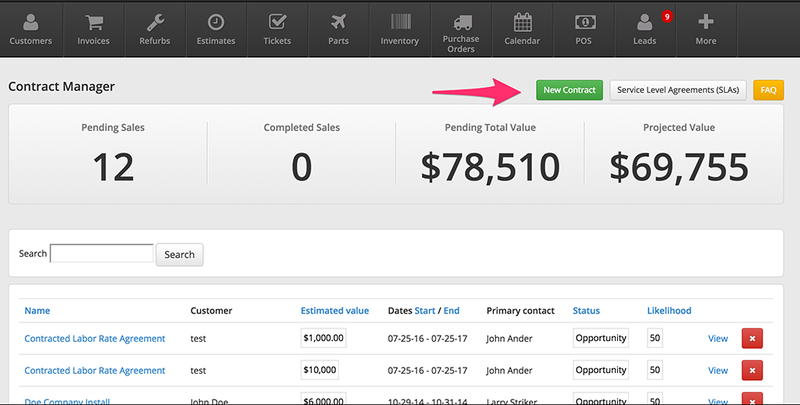 To create a contract head over to Customer's tab, select "Customer's Module" and then select "Contract Manager"
Select the green "New Contract" button to start a new Customer Contract. You will then see the screen below. 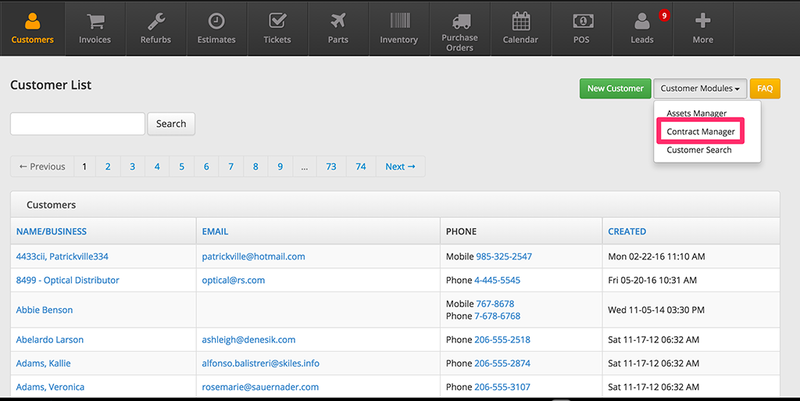 Customer name will auto-populate as you type. From there you will want to name the contract, give it an estimated, likelihood it will close, start and end date, the primary contact, and description. If there is an SLA agreement in place select the dropdown and select the agreement you would like to add. 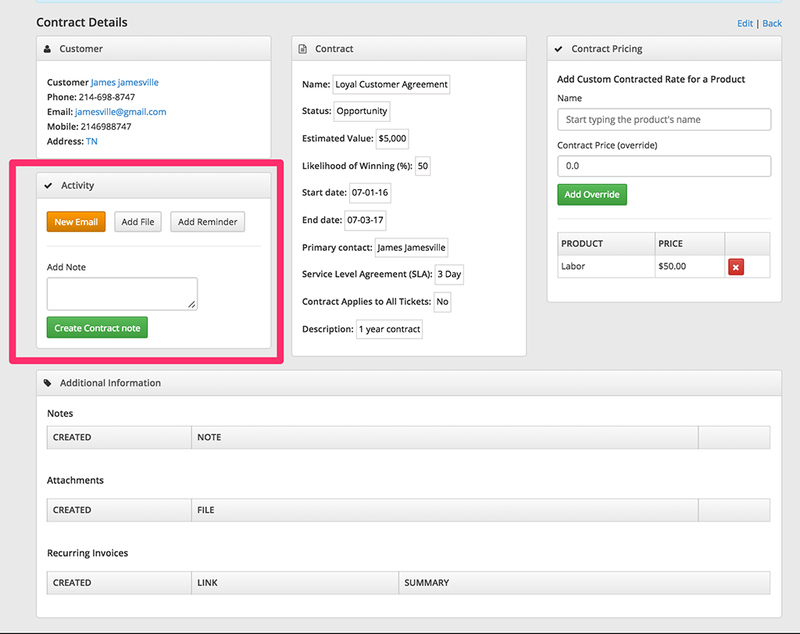 Select the checkbox if you want the contract to apply to all tickets including existing ones. Leave it unchecked if you only want the contract to apply to tickets going forward. 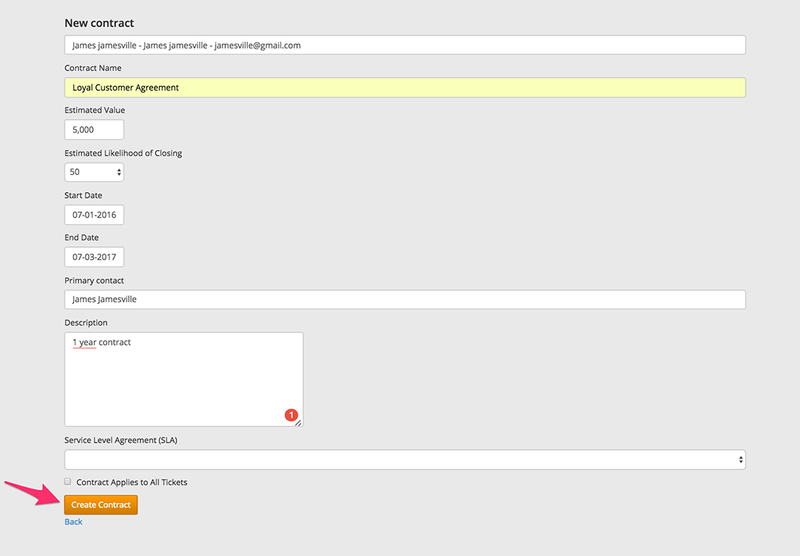 Then select orange "create contract" button to complete the process. You will then be brought to the screen below. You can add attachments, reminders, or send out an email via the box highlighted below. You can also change the contract details at any point by clicking on the options within the white box underneath the "Contract" box or the blue "edit" button on the top right. It is now possible to clone contracts for fast Contract generation. This will allow you to set special rates for customers on any items within your inventory, including labor. Simply search for an item by typing the "product's name". The name and original price will auto-populate the fields. You can then change the price under "Contract Price(override)", from there click on "add override". 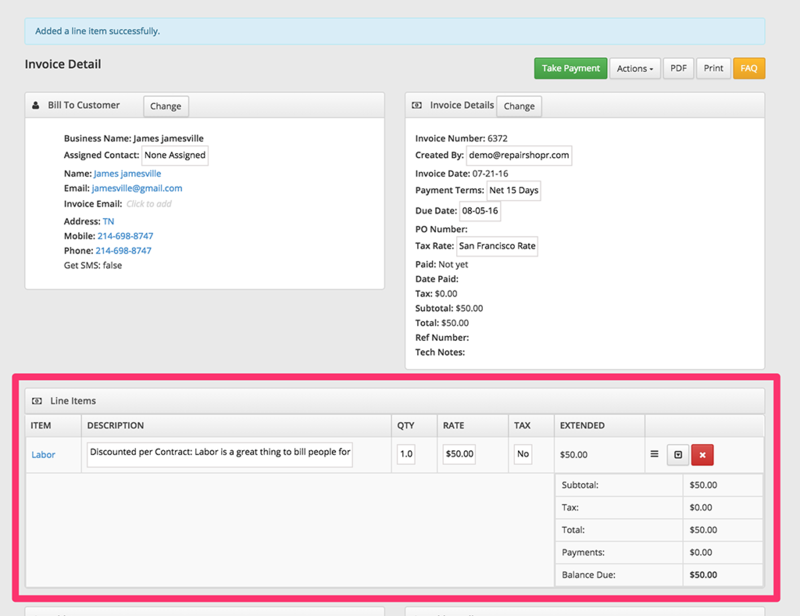 When you go to an invoice and add the line item to an invoice, it will automatically apply the discount! Important Note: Once a contract rate is created it will override any manual changes made within the "Add/view charges" module. If you change or add a contract, only line items added after that change will be affected. Previously added line items would still be at the settings that were in effect when they were added. 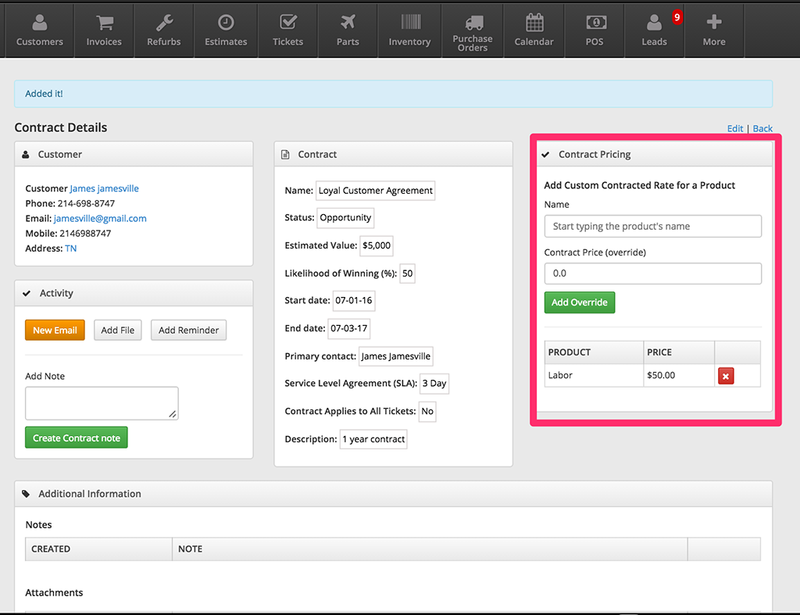 You can add products to this field to prevent the selling of products to the customer attached to the Contract. This way someone doesn't accidentally add the wrong product!